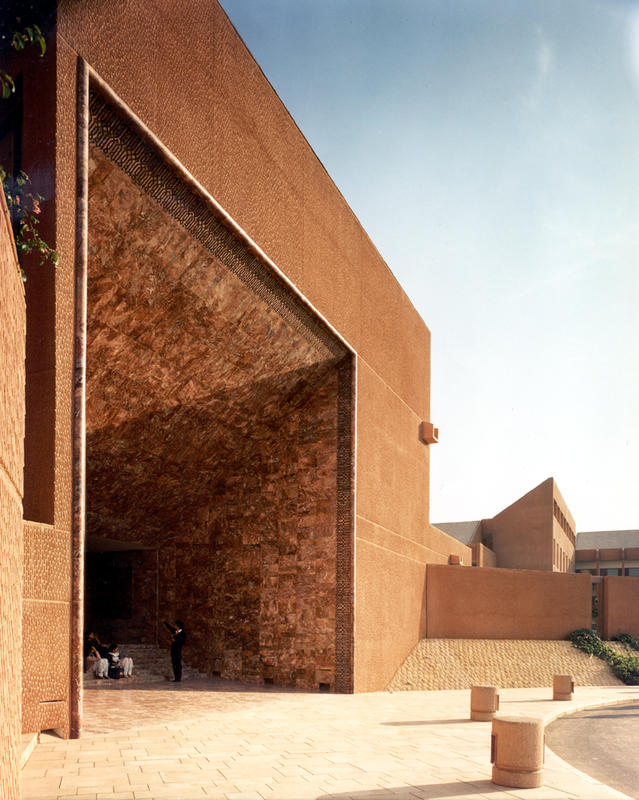 To help Payette’s design team understand the cultural context of Aga Khan University Hospital complex in Karachi, the university arranged for the team to travel to Spain, North Africa, Iran, and South Asia. There, designers studied traditional patterns, materials, and forms—all of which the project interprets without imitating. In today’s global economy, American architects work on six continents. At last count, according to the 2016 Firm Survey Report by the American Institute of Architects (AIA), annual revenue from international projects totaled $2.2 billion. Large firms earned an average of 12% of their revenue outside North America, while some firms were closer to half or even three-quarters. When the imitation of Western design by admirers world-wide is added to this direct influence, the “subtle destruction” of regional diversity— identified by Paul Ricoeur in a 1965 essay (see sidebar)—isn’t so subtle anymore. Little was said of Islamic architecture or many of the concerns that the award championed then, and which are common today: sustainability, human scale, climate adaptation, quality of life. Those are some of the responses we heard when we ran the idea past a posse of international practitioners whose works express the principles of critical regionalism. Proposed by Kenneth Frampton, this approach rejects not only homogenized global design, but also a romanticized version of vernacular architecture (see sidebar). Is the priority of regionally appropriate architecture explicit in this design approach, and if so, how? How do sustainability and regionally sensitive design mesh in these types of projects? What are the metrics or indicators of success? And what happens when values collide? In an unfamiliar context, how do international practitioners assess the ethics of their design solutions, or determine whether to proceed at all? All of these strategies have helped the teams behind these projects to find a balance of universal and regional values that works, or to continue the search together with their clients.